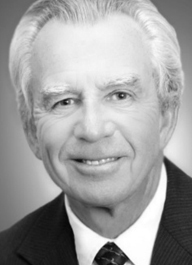 Chair of the Greater Naples Chamber of Commerce; Chair of the Board of Trustees of Florida Gulf Coast University; a Board member of Quest for Collier County, Inc.
J. Dudley Goodlette has resided in Collier County for 60 years. After graduation from Naples High School (1966), Dudley completed his undergraduate degree in Political Science from Eastern Kentucky University (1970) and his Law degree from the University of Florida (1972). Dudley has been actively engaged in civic, professional, and public service endeavors in Southwest Florida. He is currently the Chair of the Greater Naples Chamber of Commerce, Chair of the Board of Trustees of Florida Gulf Coast University, a Board member of Quest for Collier County, Inc., and he is actively engaged in local and regional initiatives seeking to diversify the economy of Southwest Florida. Dudley served in the Florida House of Representatives from 1998 until 2006 representing Naples, Marco Island and Everglades City. While in the Florida Legislature, Dudley served in many leadership positions, including four years as Chairman of the influential Rules and Calendar Council. From January 2009 to November 2010, Dudley served as the Chief of Staff to the Speaker of the Florida House. In 2012 he served as Interim President of Edison State College now Florida Southwestern State College. Dudley is married to Barb and has two grown daughters who are elementary school teachers in the public school system in Collier and Pasco Counties.